The “Source Connections” pane is located at the left side of the main screen, and is designed to display the added source connections along with the content hierarchy. Proventeq Migration Accelerator supports a wide variety of sources, please select from the options below to view details on adding connections. The following table lists the operations that are available in corresponding “Source connections” group present on ribbon when configuring a Meridio Source migration. The Add Meridio icon , located in the Source Connections group of ribbon allows the user to create a source connection pointing to Meridio. 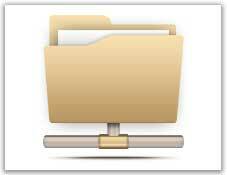 User can browse Fileplan and select different Folders. The source connection can then be used to create migration task(s). 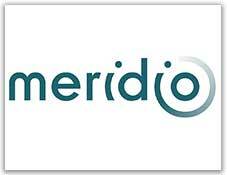 Server Name: Name of the database instance hosting the Meridio database. Proventeq Migration Accelerator staging database and Meridio database should be hosted on the same SQL Server instance. e.g. DBServer\Instance. Use Integrated Security: Checked the checked box to use the Integrated Security. User Name: User name for connecting to the Meridio database. The user should be an Administrator for this database. Database Name: Database Name of the Meridio installation. File Location: Full path to the folder storing the Meridio files. User can check source and target collection sites by expanding them along with contents in Source and Target pane area as part of migration though it is not a mandatory step. User can then either Edit Connection or Refresh Connection but these steps are not mandatory. “Source Connections” pane is located at the left side of the main screen, and is designed to display the added source connections along with the content hierarchy. The following table lists the operations that are available in corresponding “Source connections” group present on ribbon. The Add File Share icon , located in the Source Connections group of ribbon allows the user to create a source connection pointing to a file share. User can browse and select Folder or a Drive using the folder selection dialog. The source connection can then be used to create migration task(s). The user needs to input a unique friendly name for the File Share Connection. Click on "Verify Connection" button to verify that the source system added is authenticated and validated for accessibility. Click on “Add” button to add the source connection. Note: When migrating from network file shares, it is recommended that the UNC path is mapped as a drive on the local machine before adding it as a source connection. While adding mapped/network user will not find the mapped/network drive in source connection, user needs to follow below steps to configure it. Regedit is a two-pane interface with keys in the left pane (key pane) and value names with the corresponding data in the right pane (value pane). The Add Oracle UCM icon , located in the Source Connections group of ribbon allows the user to create a source connection pointing to a Oracle UCM server. The source connection can then be used to create migration task(s). 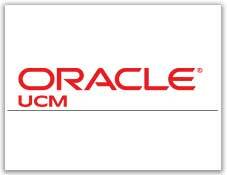 User Name: User name for connecting to Oracle UCM server. The user should be an Administrator. Use Oracle UCM profiles checkbox: Selecting this checkbox will make use of the UCM profiles as the default content types for mapping. This should only be used if the UCM Server version supports profile, and profiles are being used. Select Content Source: Select UCM Web API or database source to discover items and retrieve content and metadata for migration. Password : Oracle Database password for the for the User. OCS Schema : Name of the OCS Schema name in the Oracle Database. Click on the "Test Connection" button to verify that the details entered are correct. Click on the “Add” button to add the Oracle UCM connection. Use Integrated Security : Select Integrated security respective to SQL Login. OCS Schema : Name of the OCS Schema name in the Oracle. The Add Documentum icon , located in the Source Connections ribbon group allows you to create a source connection pointing to Documentum. You can browse the Documentum Repositories and select different Cabinets/Folders. The source connection can then be used to create migration task(s). Name: Name of the connection, to uniquely identify the connection within the workspace. Server URL: REST URL of the target Documentum Content Server. This is normally the hostname/IP address of the Documentum server followed by “:8080/dctm-rest/services”. 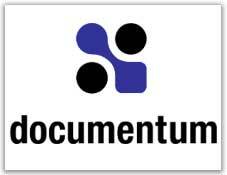 User Name: User name for connecting to Documentum. The user should be an Administrator of Documentum. Once the connection has been created it can then be modified with the “Edit Connection” button or refreshed with the “Refresh Connection” button as necessary. The Add Hummingbird icon , located in the Source Connections group of ribbon allows the user to create a source connection pointing to a Hummingbird Library. User can browse and select Hummingbird Library using the Hummingbird Connection dialog. The source connection can then be used to create migration task(s). 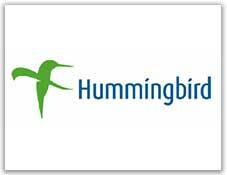 Server Name: Name of the database instance hosting the Hummingbird database. Proventeq Migration Accelerator and Hummingbird database should be hosted on the same SQL Server instance. Use Integrated Security: - Checked the checked box to use the Integrated Security. User Name: User name for connecting to Hummingbird database. The user should be an Administrator for this database. Database Name: - Database Name of the Hummingbird DM. File Location: - Full path to the folder storing the Hummingbird Files. Time Zone: User needs to select the Time Zone from the drop down or by default the Time Zone being selected of the Server. Click on the "Test Connection" button to verify that the details entered are correct. Click on the “Add” button to add the Hummingbird connection. User can check source and target containers by expanding them in Source and Target pane area as part of migration, though it is not a mandatory step. The Add Worksite icon, located in the Source Connections group of ribbon allows the user to create a source connection pointing to a Worksite Library. 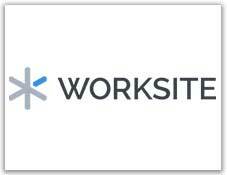 User can browse and select Worksite Library using the Worksite Connection dialog. The source connection can then be used to create migration task(s). Server Name: Name of the database instance hosting the Worksite database. Proventeq Migration Accelerator and Worksite database should be hosted on the same SQL Server instance. e.g. DBServer\Instance. User Name: User name for connecting to Worksite database. The user should be an Administrator for this database. Database Name: - Database Name of the Worksite DM.